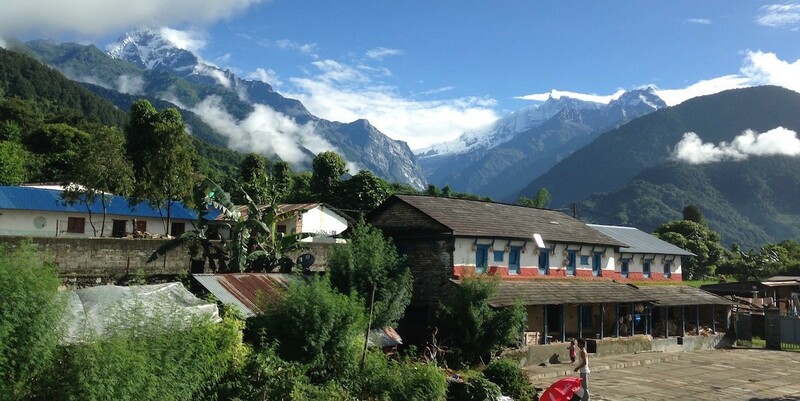 Ghachok is a beautiful village located on the lap of Annapurna and Fishtail mountains. The village is located on the north-west of Pokhara and this short hike is recommended by Trekking in the Himalayas -10th edition book (Published on Jan 2016) and BBC Travel published on January 2012. This interesting two-day trek ascends the hills north of Pokhara to the traditional Gurung villages around Ghachok. It starts from Hyangja, near the Tashi Palkhel Tibetan settlement and crosses the Mardi Khola to Lhachok before ascending to the stone-walled village of Ghachok, where you can stop overnight before turning south and returning to Pokhara via Batulechaur. With more time, you can extend this walk (beyond the reach of roads) to visit some even more remote villages in the valley leading north from Ghachok. This village is also very famous for the Local traditional homestays and you can enjoy your stay with the ‘Dal Bhat’ (Nepali food) is prepared from homegrown ingredients, and fields of rice surround traditional houses made of stone. The village boasts several waterfalls for an afternoon hike and swim or relax in your guesthouse’s courtyard with a book.